Townleygirl has some of the newest and hottest products of 2017 perfect for Valentine's Day Gifts. 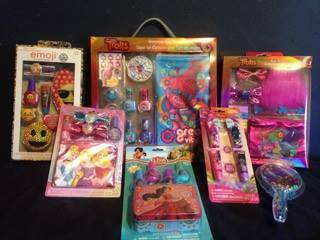 Townleygirls offers unique gifts for girly girls and tomboys! They have character lines that include Trolls, The Disney Princess's, The Avenger's, Disney Jr., Emoji's, Finding Dory, Moana, Frozen, Tsum Tsum, Trolls, The Secret Life of Pets and Elena of Avalor! We loved all of our amazing Townleygirl goodies. 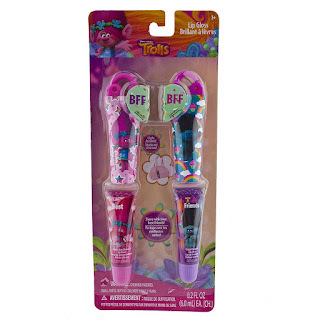 Sierra loved the non toxic kids nail polish and the lip balms. She also loved all of the characters she got! Our overall favorite item was one of the simplest but it is our most used item and most loved! 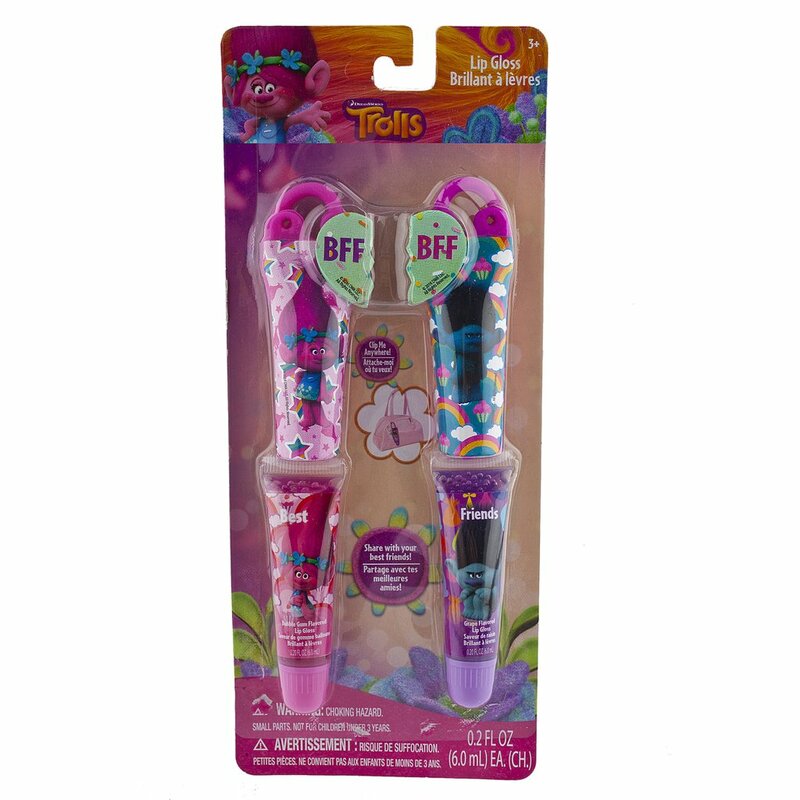 We loved our Trolls Glitter Shaker Hair Brush. It is like a snow globe brush without the water. 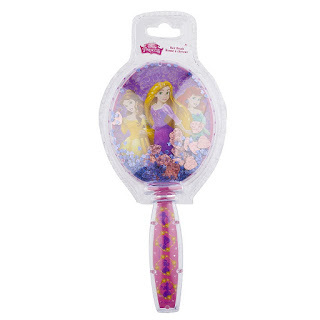 Check out the Disney Princess Shaker Hair Brush below. My daughter loves hers she brushes her hair which she never would do before. Now she looks forward to using her own brush and loves it! This would be a perfect Valentine's Day Gift! If you are looking for the perfect gift set check out all of these great makeup kits and beauty sets from Townleygirl. The Emoji Bath Set includes 2 body lotions, 2 shower gels, 1 shower mirror and 2 loofahs. 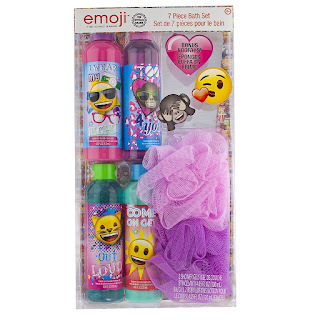 The shower gel included is blue bubble gum and purple grape scented and the body lotion is pink bubble gum and mint green blueberry. 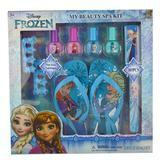 Townleygirl has an amazing Frozen themed My Beauty Spa Kit that comes with four beautiful polishes, files, toe separators, and even a pair of flip flops, one with Anna and the other with Elsa. The polish is bubble gum scented; shades include: rose, sky blue, purple, and peach! Any girl would love this kit! It would be the perfect Valentine's Day Gift! I like the Tsum Tsum nail polish and file set.